Hey hey! Welcome to episode 205 of Life on Fire. This is a special episode dedicated to our upcoming Life on Fire event, and what it means for you. On December 1st, 2nd and 3rd of this year we are hosting a one-of-a-kind experience in San Diego. This is your chance to experience the Life on Fire community, firsthand. On today’s show we’ll talk about what makes this event so unique and so transformative. Check out episode 205 and then share with your friends and family – and bring them with you to San Diego in December! When we created this event, my wife Megan and I, we designed an event that would be exactly the kind of event we’d want to attend. Having invested thousands of dollars in our growth, both individually and as a married couple, we have been to many events over the years and have learned what really works as an attendee. The kinds of events we’ve both been to have been everything from NLP to emotional intelligence to tons of marketing programs. What we’ve learned and what has worked for us is what we share with you. For me personally, attending live events is what took me from failing at 11 different businesses to growing and selling a company in just two years. I created that breakthrough because I attended a weekend seminar, and that’s the kind of experience both Megan and I are committed to you having at our Life on Fire event. We want you to have breakthroughs and transform your life, and truly experience what it is like to live a life on fire! Living a life on fire means all areas of your life are working, and you are happy in every aspect of life. Your finances are increased, your health is good, and you have faith or your spirituality at the center. And you have love at the core. We help you create this with specific skills and techniques we teach you, techniques that create lasting change in your life. It’s about creating the full and complete picture of your ideal life. It’s an event that is designed to literally transform your life – so you have more love, more money, better health and you’ll walk out playing at a bigger level! People have left this event, quit their jobs in the next 30 days and gone on to create 5 and then 6-figure businesses…after never having made money in previous businesses. And they do so because we help them remove limiting beliefs, both in finances and other areas, and help them build a strategy to create lives they love. 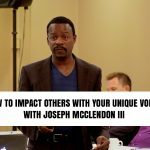 We’re bringing in some of the best speakers we know: Joseph McClindon III who is Tony Robbins’ top speaker and a multi-million dollar business owner in his own right. As well as Commander Mark Divine, who was first in his Navy SEALs BUD class. This man will show you how to do 20x more than you thought possible – I know firsthand because he’s done it for me! Our goal is always to make each event bigger and more transformational than the previous one. We want you to join us in living full out, and the first step to doing so is to come to our Life on Fire event in December. We are so excited to see you there! Our Free content and exclusive coaching is the fastest path to igniting the four embers of a Life on Fire: Wealth, Health, Love, & Faith. Check out our free training and get started now.